I don’t understand people who say, “Oh, I’ve already been to such-and-such, I don’t need to go back.” Things change, all the time. It’s pretty much the only guarantee in the universe. Even extremely old places change, and we as people certainly do, so it’s always worth revisiting a lovely and interesting spot to see what’s new or how your experience of it may shift. In a related note, I don’t exactly understand why so few Britons travel within their own country as infrequently as they do. When I told a British friend how we were going on a trip around the southwest with my in-laws and mentioned we would be driving from London to Salisbury, he sighed and said it sounded like a terribly long drive. It wasn’t. I think we’re dealing with a sense of scale issue. The US is a third of an extremely large continent and Britain is smaller than many states, what is long to them simply isn’t to us. At any rate, we saw both Stratford-upon-Avon and Blenheim Palace in a single day and weren’t rushed in the slightest, in spit of the fact that they were in opposite directions from our starting point. 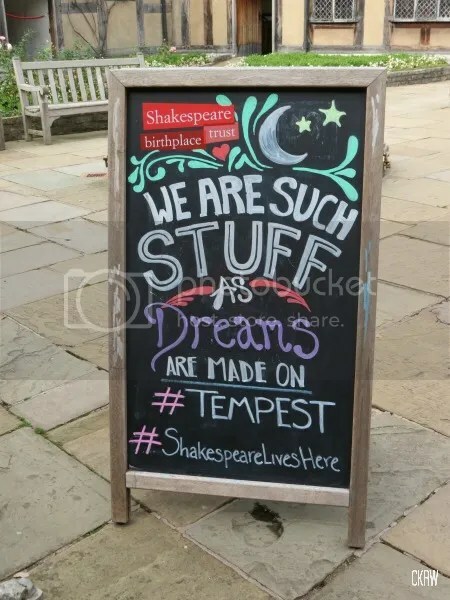 Stratford-upon-Avon is lovely, but is really only one reason to go: Shakespeare. 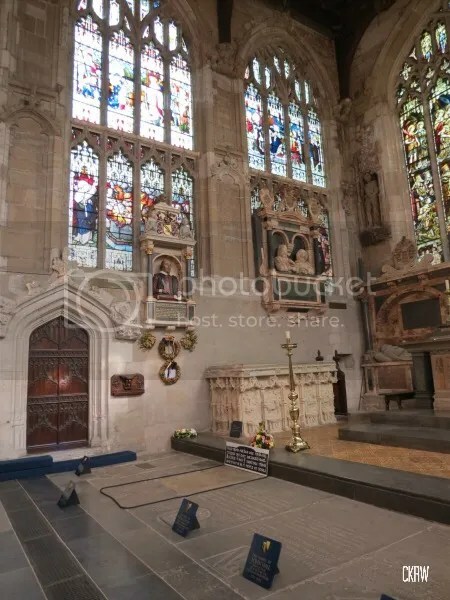 His family homes, that of his wife, and the church where he was probably baptized and married and definitely buried are within easy distances of one another and well worth a visit. The last time I was here was when I was studying in London still in university and there have been some changes. I don’t believe the extensive (and quite good) visitor’s center with accompanying exhibits had been completed then, and it was lovely to have a look round. 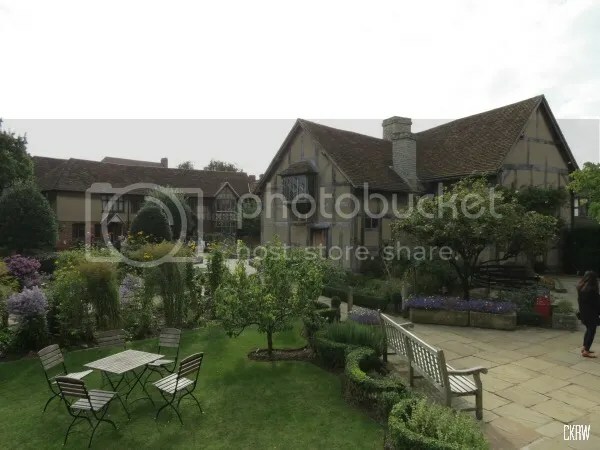 Shakespeare’s family home is nicely the same as it has been for many centuries now. There have also been some recent research developments in the church, including some potentially hidden Catholic imagery, which would have been quite a big deal given the political and religious realities of the day. What really hooked me on this trip, however, was the gentleman in the striped shirt standing center. 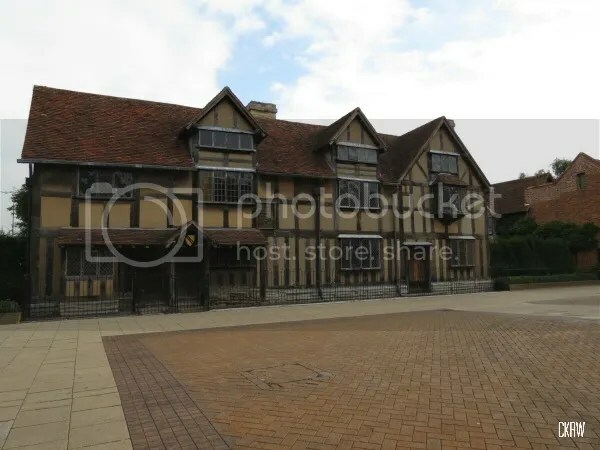 He was a wealth of historical information about the church, Shakespeare’s day, and the ways both the building and the faith climate would have influenced him. He also talked extensively about Elizabethan burial practices, which seems gruesome but was rather interesting. 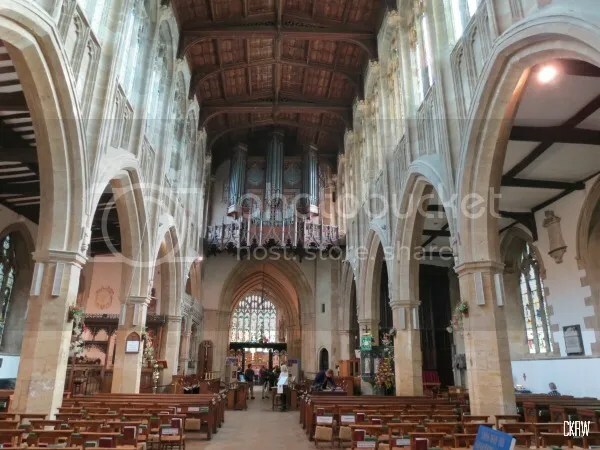 If you’ve every wondered how centuries of burials have been managed in enclosed spaces, the answer is that most churches would perform burials in circular way around the church, moving like the hands of a clock. It would take about a local generation to complete a pass, after which the bones would mostly be dug up (the flesh would have, er, been taken care of by time and other things) to be further processed by burning or mashing up. The word bonfire derives from this, a “bone-fire” meant to reduce bulky human remains to more manageable chunks. Hence the famous scene in Hamlet of the gravediggers mucking about with Yorick et al. However if you were very wealthy or very influential, your remains could avoid this fate by permanent interment. 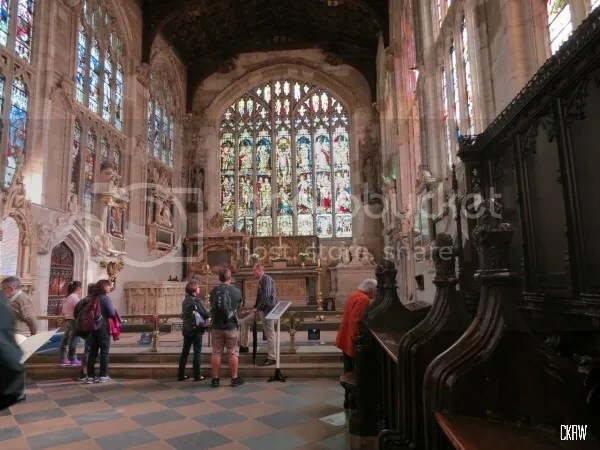 You had to pay a hefty fee to the church powers of course, but in an age where being remembered was important, plenty of people found the funds. Billy S. doesn’t need a memorial for that, of course, but it’s very nice that we have one anyway.